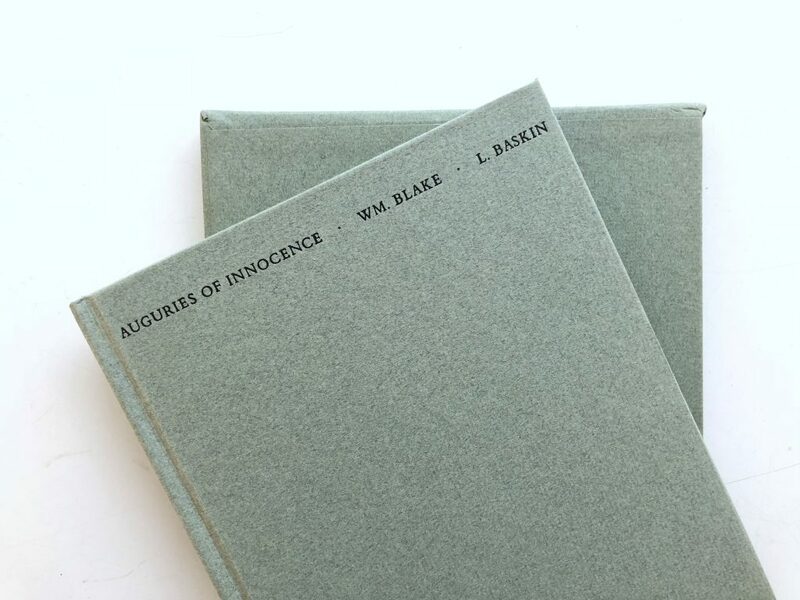 In 1959, we commissioned Leonard Baskin to illustrate a version of William Blake’s Auguries of Innocence, published in an edition of 250. It was printed by Esther Baskin, Leonard Baskin and Richard Warren at the Gehenna Press for The Print Club of Philadelphia. 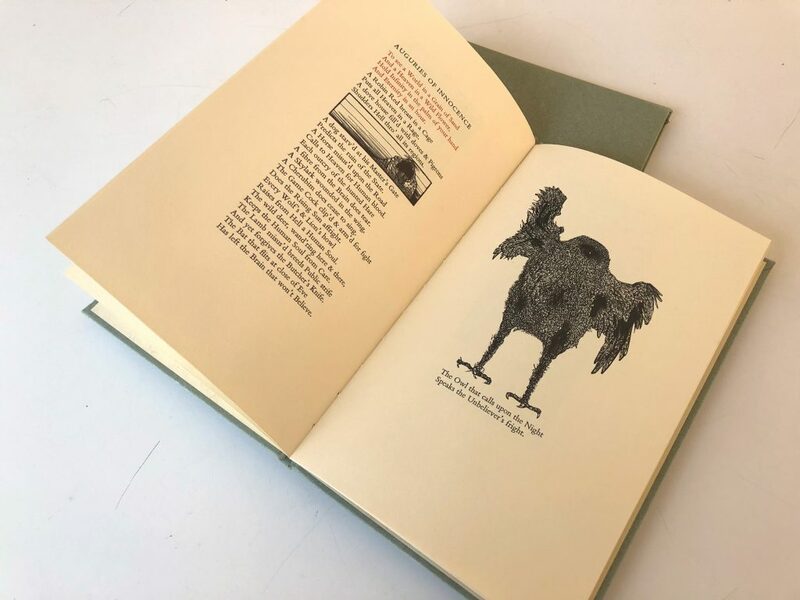 The volume contains 10 leaves, untrimmed, with 9 wood engravings printed on Amalfi paper, sewn into a grey Fabriano wrapper with a paper label on the front cover. This was the first of many artworks, artist books and books that The Print Center has both commissioned and published.